Consumer Reports Subscribe to Consumer Reports, go to the library and read past issues, or check out Consumer Reports online. There are other objective sources of information on cars, but this is the best. 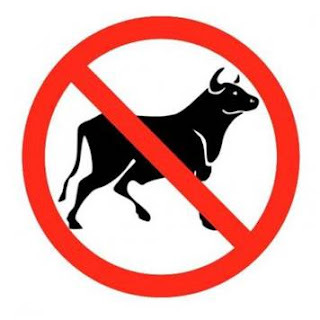 They accept no advertising from anybody and their sole goal is rigorously and objectively testing merchandise that consumers buy. You can very quickly find the best make car for the model and style you want to buy. Consumer Reports rates cars by performance, cost of operation, safety, and frequency of repair. Test Drive the car you have chosen This step requires that you visit a car dealership. Remember that this doesn’t have to be the dealership you buy it from. You obviously must see, touch, feel, and drive the car that you think you want to buy. A new car is a very personal thing and just because Consumer Reports loved it doesn’t mean that you will. Be sure that you test drive the car at all speeds in all road types that you normally drive. Drive it in the city but also on the expressway. Carefully choose the accessories you want There are some accessories that enhance the value of your car and some that don’t or may even lower it. Generally speaking you should accessorize a car comparably to its class. If you are buying a lower priced economy car, you should not load it up with leather seats and an expensive sound system. If you do, you won’t recoup much of what you spent on these accessories in its resale value. On the other hand, if you are buying a luxury car, don’t skimp on items people look for in luxury cars like a navigation system or a moon roof. Carefully choose your car’s color Color is more important in determining a car’s resale value than accessories. If you want to maximize the trade-in value of this car, choose a popular color. White, silver, black, and beige are the 4 most popular colors. Sports cars and convertibles are exceptions and red is often the most popular color. The difference in trade-in value between the right color and the wrong color can be several thousands of dollars. Arrange your financing Now that you know exactly what kind of a car you are going to buy, you can check with local banks and credit unions to find the best interest rate. Don’t commit until you have chosen the dealer you will buy from. Manufacturers sometimes offer very low special rates and dealers can sometimes offer a lower rate than your bank or credit union. Shop your trade-in If you are trading in a car, take it to 3 dealerships for the same make and ask them how much they will pay you for your car. A Chevy dealer will pay more for a used Chevy and a Toyota dealer will pay more for a used Toyota. If you live near a CarMax store, get a price from them too. They have a reputation of paying more money for trade-ins than most dealers. Don’t commit to the highest bid, but give the dealer you buy from a chance to beat that price. Shop for the best price on the Internet Go to the manufacturer’s Web site. The addresses are all very intuitive. Toyota is www.toyota.com and Pontiac is www.pontiac.com. You can type in your zip code and get the Web sites of all your local dealers. Depending on how far you are will to drive to pick up your new car, request price quotes from as many dealers as you like, but be sure you get at least 3 quotes. When you have chosen the lowest price, verify that this price is “out-the-door” with only tax and tag added. 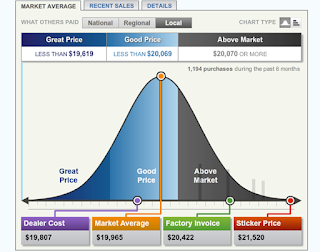 There are two third-party sources for getting a low, transparent price from a dealer in your market area, https://www.costcoauto.com/, and www.TrueCar.com. Offer your favorite, or nearest, dealer the right to meet this price. If you have been dealing with one dealership for a long time and have had good experiences with their service department, you should give them a chance to meet your lowest Internet price. Of course, you can take your new car to them for service even if you don’t buy it from them. You will notice that there were no steps listed above which suggested that you look in your local newspaper’s auto classified section or online ads, watch car dealer’s TV ads, or believe their direct mail “too good to be true” offers. When you fall for this, the dealer is in control. When you follow my eight steps, you are in total control. Hopefully by now, all but my newest readers know about the infamous “Dealer Fee”. If you don’t know, it’s a hidden price increase on the car you purchase disguised to look like a federal, state, or local tax or fee. It’s 100% profit to the dealer. “Dealer Fee” is the most common name for this disguised profit, but it goes by many names such as doc fee, dealer prep fee, service fee, administrative fee, electronic filing fee, e-filing fee, tag agency fee, pre-delivery fee, etc. The names are only limited by car dealers’ imaginations. Almost all car dealers in Florida charge a Dealer Fee. The dealer fees range from around $700 to as high as $2,000! This law is very weak and almost never enforced. When enforced, it isn’t enforced by the letter of the law; it is done so as to “accommodate” the car dealers. The law is “weak” because it requires only that the dealer fee be included in the “advertised” price. The word “advertised” is narrowly interpreted to mean a specific car shown in a newspaper, TV, radio, or online ad, but, what about when you get a price on the phone, online, or from the salesman? You don’t find out about the Dealer Fee until you’re in the business office signing a bunch of papers. The dealers get around advertisements very easily by including a “number” in the fine print. This number is their stocknumber that designates one specific car. When you respond to the ad, this car is no longer available (sales people are usually not paid a commission for selling the “ad car). The advertisement might say “many more identical cars are available.” It’s true that identical cars are available for sale, but they are not available for sale at the sale price because they are not the advertised stock number car. If you buy one of those “exact same cars” you will pay from $700 to $2,000 more. Make it clear from the very beginning that all prices you discuss must be “out-the-door” prices. This way you don’t care if the dealer fee added up front because you will shop and compare their bottom line price with at least 3 competing car dealers. Ideally you should require that they include tax and tag in that price. If you don’t they might try to slip in something they call the “electronic filing fee” or “e filing fee” and trick you into believing that it’s part of the license tag and registration. The dealer will often tell you that all car dealers charge Dealer Fees and that they are required by law to add the dealer fee on every car they sell. Simply tell them that you know this is not true and you can cite me and other car dealers like Mullinax Ford, OffLeaseOnly.com and Earl Stewart Toyota that do not charge a dealer fee. Print out a copy of this article, show it to them, and tell them that you know that there is no law that says he must charge you a dealer fee. If you and the dealer understand that the out-the-door price is the price you will shop and compare with his competition, you don’t need to be concerned whether there is a dealer fee showing on the vehicle buyer’s order. To be competitive, the dealer can simply reduce the price by the amount of his Dealer Fee and the bottom line is what you are comparing. Be aware that dealers usually do not pay their sales people a commission on the amount of their dealer fee. In fact, dealers often misinform their sales people just like they do their customers. The salesman who tells you that the all dealers charge Dealer Fees and that the law requires everyone pay a dealer fee may believe it. Sale people who understand that the Dealer Fee is simply profit to the dealer will be resentful of not being paid their 25% commission on it. A $1,000 dealer fee costs the salesman $250 in commission. When you respond to an advertisement at a specific price for a specific model car, object when the dealer adds the dealer fee. Unfortunately, the law allows him the loophole of claiming that the ad car is a different stock number, but you might be able to shame him into taking off the dealer fee. If you raise a “big enough stink”, the dealer would be smart to take off the dealer fee than claim that technicality, especially if you were to advise the local TV station or newspaper. 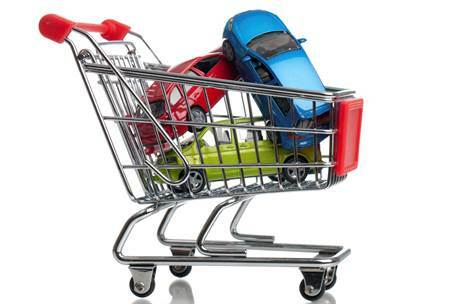 Understanding and calculating the TOTAL PRICE of a car is very complicated and time consuming. The average price of a new car is about $40,000, but when you add all the other costs associated with the car and multiply this by all the cars you will buy in your lifetime, you’re talking hundreds of thousands of dollars. This means that you should make the effort and take the time to fully understand the Total Price of the next car you buy. Car dealers and car manufacturers advertise car prices that are only a small fraction of the true cost of the car. When you’re comparing advertised prices from different dealers and different makes and models of cars, you have virtually no valid information on making the right purchase decision. Dealers almost always advertise a price that is substantially lower than you can buy their car. If they don’t do this, their competitor will, and they will lose the sale. Manufacturers almost never advertise the other costs associated with their cars, unless the car happens to have a low cost in that category. For example, Subaru has a low cost of depreciation, but you’ll never see a Chrysler ad about depreciation cost. The fine print in every manufacturer’s ad stipulates that the dealers can add dealer installed accessories and dealer fees. Below I’ve listed all the costs totaling the TRUE TOTAL COST of the cars you buy. Selling Price of Car. Determine the lowest selling price of the car you want to buy as follows: Check with these two 3rd party car buying services, www.TrueCar.com and https://www.costcoauto.com. Then take the lowest price of the two and shop it with at least three dealers on the exact same make, model, accessories and MSRP as the car you priced with TrueCar and Costco. Trade-in Allowance. Keep the sale of your trade-in separate from your purchase transaction. The dealer you buy your car from will try to pay you less for your trade-in than it’s worth; or he will delude you into believing he’s giving you a good price by overcharging you on the car you’re buying. Get purchase offers on your trade-in from the used car departments at three dealers who sell the make of car you are driving. Make an appointment with the used car manager and simply explain that you want to sell your car, but make it clear you aren’t buying another. Also, tell him you are getting competing bids from two other dealers. When you make the final decision on the dealer you will purchase your car from, offer him the right to match or beat your best price offer. Remember that Florida and other states offer you sales tax exemption on the amount of your trade-in allowance. Interest Cost of Financing. Car dealers make more money financing cars and selling warranties and other “finance products” than they do on the actual sale of the car. Check with your bank and credit union. Credit unions offer lower rates than most banks. You can join some credit unions for a relatively modest annual fee. Also, consider the dealer’s interest rate if it is a subsidized low rate offered by the manufacturer of the car. Finance Products. There’s pressure by the federal agency, the CFPB, Consumer Finance Protection Bureau, on car dealers about charging exorbitant interest rates to minorities. Many dealers have resorted to shifting their finance profits to products and services added into the retail installment sales contract. Oftentimes these products and services aren’t properly disclosed to the buyer. Carefully read your installment sales contract before you sign it to be sure that there are no warranties, prepaid maintenance agreements, road hazard insurance, roadside assistance, LoJack, or anything else added to the finance cost of your car that you haven’t agreed to buy. Depreciation. All different makes and models of cars depreciate at different rates. The differences are substantial and can amount to thousands of dollars. The selling price of a Subaru and a Chrysler can be the same, but the Chrysler will depreciate thousands more than the Subaru. 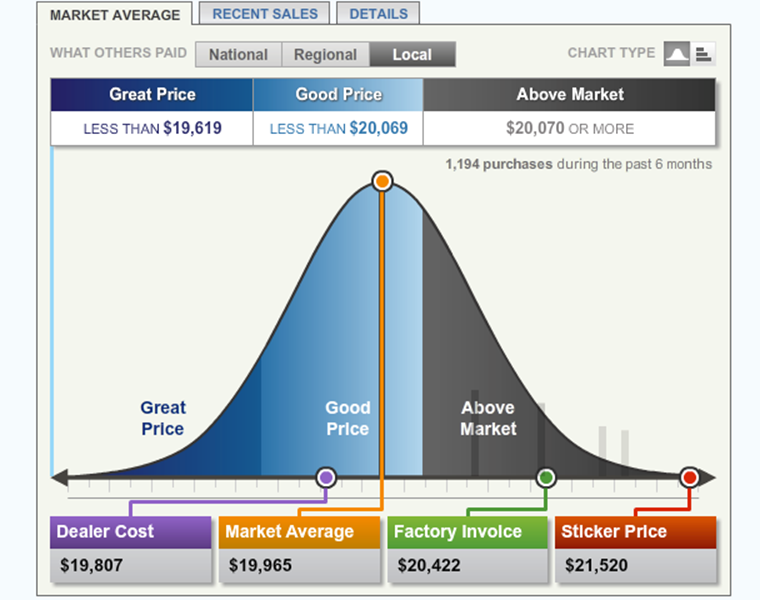 You can research depreciation online at www.ConsumerReports.com, www.Kbb.com, www.Edmunds.com, and www.ALG.com. Maintenance. The cost of maintenance for cars has dropped precipitously in the past ten years. Cars are built better and require far less maintenance, like oil changes, than ever before. The cost is so low that most manufacturers are offering free maintenance in first 2 or 3 years of ownership. However, if you keep your car longer, the cost of maintenance naturally increases. Consumer Reports is, by far, your best source of information on maintenance and repairs of all makes of used and new cars. Repairs. Repairs are usually mentioned together with maintenance, but I separate them because, even though repairs are required less frequently like maintenance, the actual cost of repairs are very high. This is because today’s cars consist of very high tech and complex computer systems which are often manufactured in modules. Repairs often involve the replacement of an entire computer module (not just a few parts), costing thousands of dollars. One again, I refer you to Consumer Reports for detailed information on repair costs. Their annual April Auto Issue is “worth its weight in gold” as source of buying information. Dealer Installed Accessories. JUST SAY NO! With rare exceptions, all accessories installed by dealers on their cars before they are sold are vastly overpriced and have very little value or utility. Dealer installed accessories exist so that the dealer can add profit to the sale of the car above the advertised price. Examples of these overpriced accessories are Nitrogen in tires, LoJack, pinstripes, roadside assistance, and paint sealant. Dealer Fees. Last, but certainly not least, are car dealers’ dirtiest little secret. 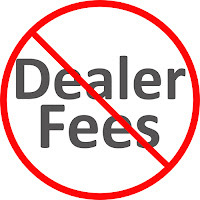 Dealer fee is a generic name for all the bogus fees that dealers add to the advertised price of their cars. The thing they have in common is the word “fee” because it resonates as an “official” local, state, or federal fee. A few of the “creative” names for dealer fees are Electronic Filing Fee, Tag Agency Fee, Notary Fee, Handling Fee, Administrative Fee, Dealer Prep Fee, and Dealer Service Fee. The way to spot a real fee from a bogus fee is by determining if the dealer charged you sales tax on that amount. THERE IS NO STATE SALES TAX CHARGED ON GOVERNMENT FEES. Car dealers will do almost anything to “get you in-the-door” to sell you a car, and one of their favorite tricks is a “free lifetime warranty” with every car they sell. I haven’t written about this before because I didn’t think anybody would believe a car dealer would give then anything of value free, but I was wrong! I was recently shown a survey of South Florida car owners. The survey asked which features and benefits associated with the purchase of a car they considered to be the most valuable. To my amazement and disbelief, the number one and two items were free, lifetime engine and power-train warranties! For clarification, the engine is part of the powertrain. the main components that generate power and deliver it to the road surface. This includes the engine, transmission, drive shaft, differentials, and the final drive (drive wheels). Essentially, these are all thelubricated parts of your vehicle. These parts are very important, and they are also very reliable and not likely to fail if properly maintained. All engine/powertrain warranties, free or otherwise, have requirements that they be maintained, at least per the manufacturers’ recommendations. Many free warranties also have conditions that they be maintained even more frequently than the manufacturer requires. Most non-manufacturer engine and powertrain warranties (and all free nonmanufacturer) EXCLUDE SEALS AND GASKETS* which are the only parts that might wear out during any reasonable length of time. Some of these phony warranties have requirements that all maintenance and repairs be made at the dealership you bought the car from; some have requirements that you use a specific brand of oil. All of them require that you have detailed, written evidence of every single required maintenance that the fine print in the warranty requires. There are also other exclusions (“CYA” for the warranty seller) regarding how you use your car…do you tow a trailer, drive commercially, etc. A good tip for you regarding warranties, free or not, is to read the fine print which tells you what the warranty DOES NOT COVER. This is usually on the last page in fine print but what it does cover is on the front page in large, bold print. Because there is virtually no warranty cost to auto manufacturers from repairing engine and powertrains that have been properly maintained, they offer much longer, higher mileage coverage on the engine/powertrain than the rest of the car. Hyundai and Mitsubishi warrantee their engine/powertrains for 10 years or 100,000 miles. Acura warrantees theirs for 7 years or 70,000 and most other manufacturers for 4 or 5 years and 50,000 miles. Remember that the manufacturers do cover gaskets and seals on their warranties, but the car dealers offering the free warranties do not. The only things that can fail on a well-maintained engine or powertrain are the seals and gaskets. If the manufacturer did not cover these, they would offer a lifetime warranty too. When you see one of these car dealer advertisements offering you a FREE engine or powertrain warranty, ask him how much of adiscount from the advertised price he will give you if you decline the warranty; and/or ask him to show you proof of any warranty repairs his dealership has ever made on an engine or powertrain covered by their free warranty. I think we both know the answer to these questions…you won’t get a dime’s discount on the car and they’ve never spent a nickel on warranty repairs. The bottom line is that a free engine/powertrain warranty is just like free advice…it’s not worth anything. *CORRECTION: It has come to my attention that not all of these warranties exclude seals and gaskets. In particular, Bev Smith Toyota and West Palm Beach Nissan both offer free lifetime powertrain warranties that do cover seals and gaskets.